There is nothing that can’t be fixed, or at least helped, by Milo. This is a philosophy a good friend of mine and I have stuck to for a long time. Whenever one of us is having a hard day or needs a pick me up, out comes the Milo. Not to say that it should only be consumed when times are tough, but this deliciously malted drink is a pretty powerful remedy. 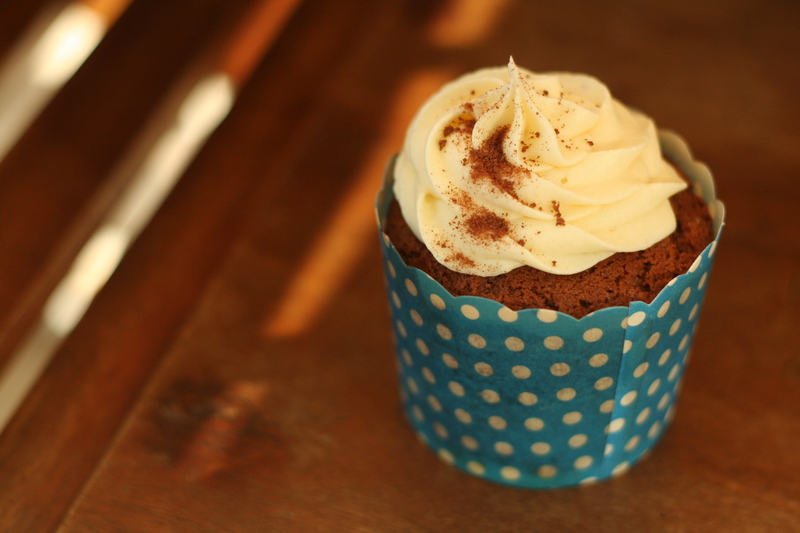 For those days when even a large mug of Milo isn’t enough, these cupcakes will do the trick. The batter is thick and dense but light and packs a huge amount of flavour. The sour cream helps to keep them from getting too heavy, and the crunchy tops are delicious. Topped with a condensed milk frosting these cupcakes are just what the doctor ordered. I originally found this recipe at raspberri cupcakes blog and made a few small modifications. Next time I think I’ll make them a bit smaller to get a better ratio of frosting to cake, and up the condensed milk in the frosting so they’re not so sweet. I actually think these would make a great muffin rather than a cupcake and may have to look at making those in the future. Funnily enough, it was actually the same friend who introduced me to having condensed milk in my Milo. While incredibly sweet and rich, it really does pair fantastically and makes a delicious drink (or cupcake) even more decadent. 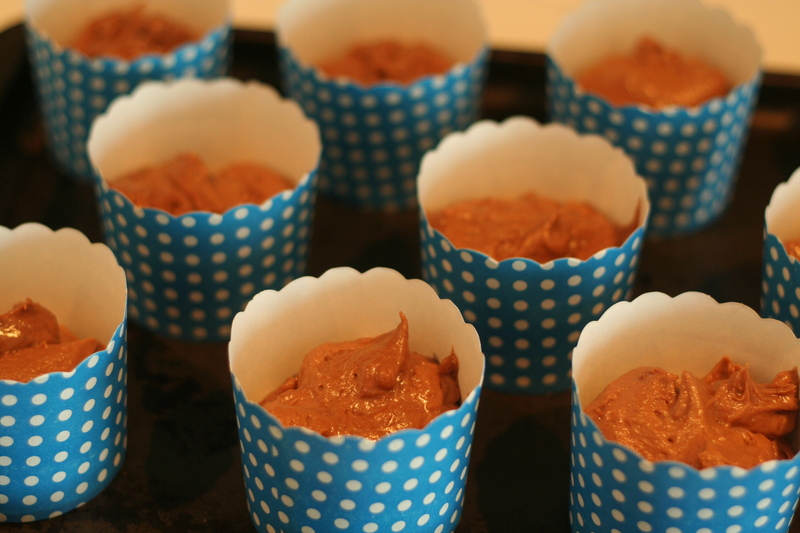 Preheat the oven to 180° and prepare your cupcake liners. Cream the butter and sugar in a mixing bowl on medium speed until creamy. Add the eggs one at a time and mix thoroughly. Add the sour cream, vanilla and Milo and mix until just combined. Sift the flour, baking soda and baking powder into a small bowl and gradually add to the Milo mixture, beating on low until just combined. 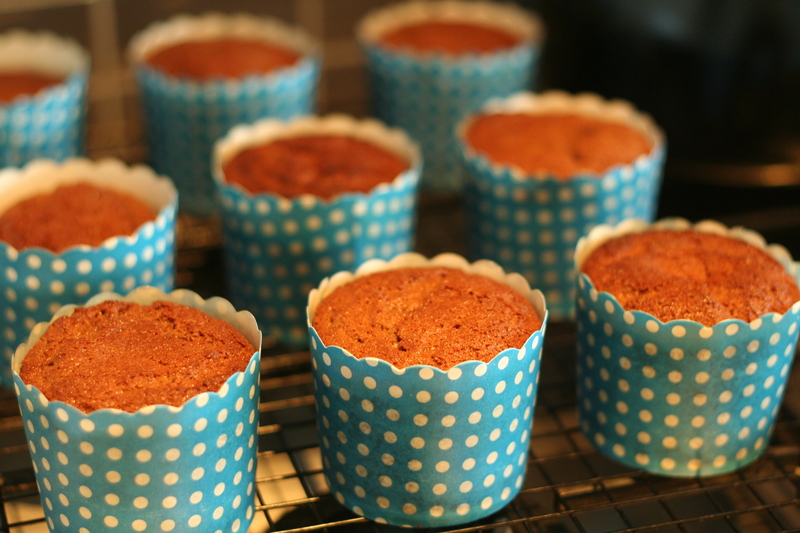 Fill cupcake liners until ¾ full and bake for 15-20 minutes or until the tops are crunchy and a skewer inserted into the cupcakes comes out clean. Allow to cool before frosting. Beat the butter on medium speed until light and fluffy. Sift the icing sugar and slowly add to the butter, beating until combined. Add the condensed milk and beat on low speed for 5 minutes until thick and smooth. This must score a triple yummy. I agree – Milo makes everything better. These look divine. These look terrifically tasty — now I just need to track down Milo….luckily we’ve got quite a few specialty food stores that just might have it. 🙂 BTW, thanks for stopping by Squirrel Circus today, come back soon! These look oh so scrumptious! the list of ingredients for the condensed milk contains ‘icing sugar’. that’s a new one for me…are there different other names for it? i’ll do a little research myself and also look out for it at my grocery. You might know of it as ‘confectioners sugar’ or ‘powdered sugar’. It’s basically fine powdery sugar used to make icing. 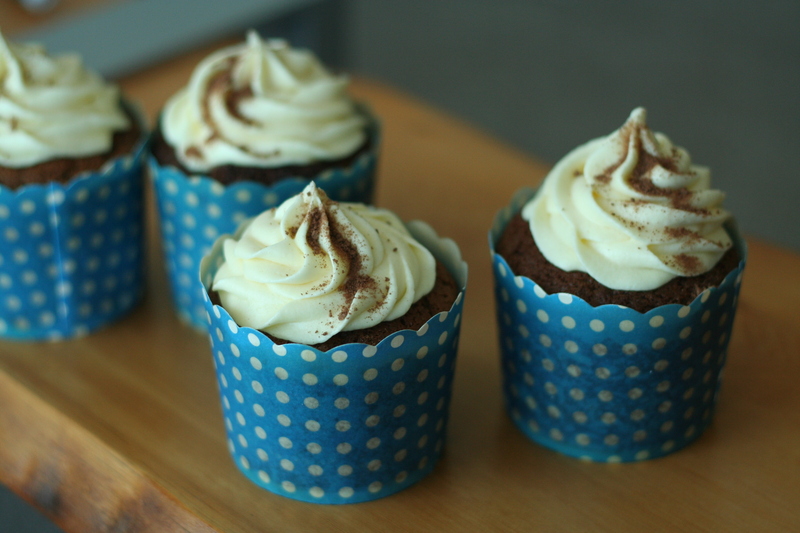 I love having condensed milk and milo on icecream, so I can imagine that these cupcakes would be delicious! I’m intrigued…must look for Milo now! These cupcakes look pretty and delicious! I’ve seen Milo referred to in a couple of other blogs. . .not sure if it’s available in the States, but it sounds very similar to Ovaltine. Which company I cannot recall that produces it. Cupcakes look good. 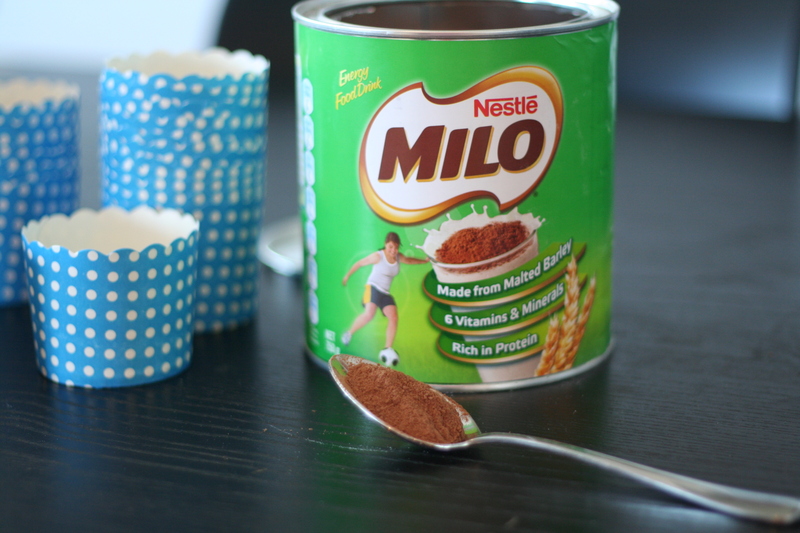 They are similar, Ovaltine is more powdery and Milo is very chocolate-y in comparison. They would probably be quite nice with Ovaltine too. I love milo and condensed milk! I love those cupcake wrappers! And love the use of malted milk in these. I’ve read that malted milk (non-chocolate) is the key to making pancakes taste restaurant-style, so I plan on stocking up on some more soon! i’ll try this recipe, thank you for sharing! i’ve never heard of milo. thanks for sharing. they look delish!